Celebrate Earth Day All Spring! 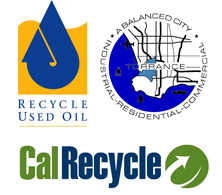 One Person’s Trash…Your guide to reducing, reusing, and recycling in Torrance! In the 2016 edition of the City of Torrance Public Works Department newsletter read all about new recycling programs and upcoming events.